Don't Let "Deflategate" Let the Air Out of Our Super Bowl FUN!! I don't know about you but when it comes to the Super Bowl, I just want to have fun. That's it. Nothing more. Nothing less. When Super Bowl XLIX kicks off this Sunday night at 6:30 pm and the New England Patriots play the Seattle Seahawks, I'm only hoping to experience one vital and grace-filled and oh so necessary human emotion: happiness. Along with that, laughter and smiles and excitement and joy and community. It all comes down to the fun. To gather together with family and friends on a cold and dark winter evening. To sit by a fire and get caught up in the excitement of the game, a game. A play filled competition which really, finally, has absolutely nothing at stake. Nothing important or profound or earth shaking or life changing will occur because of who wins and who loses come February 1st. The Super Bowl is kind of "super", but not so super that the outcome will shift the course of history or cure a deadly disease or mend a broken heart or help the powerless or increase the faith of millions. No. Instead, in preparation for Sunday, this is what I'm doing. I'm stripping away all the hype associated with the Super Bowl, "Deflategate" especially. ENOUGH ALREADY! Dismissing as so much hot air all the drama, the media noise, the excess, the money, and the chatter. Then I'll remember that the best of professional sports always comes down to just one goal for me, as a lifelong sports fan. Enjoy the entertainment of watching human beings push their physical skills to the limit, doing stuff with their bodies you and I can only watch in awe. Find a bit of escape and for one evening put aside work worries and life worries and world worries and then lose myself in an all American extravaganza, so over the top and so completely excessive that it is fun and funny at the same time. Indulge in eating way too much bad food. Return to the reason I first enjoyed watching pro sports. Remember why I first fell in love with being a fan. It was and is about fun! So this coming Sunday I am totally psyched to watch the game and as I take in that three hours of competition, I'll recall sweet memories of the times when sports have lifted my heart a bit and just made me happy. Given me fun. The afternoon I spent with my little sister Claire in the right field grandstand of Fenway Park, on a hot August Saturday, for a doubleheader. Who won? Who knows? But there was cold beer and lots of laughs and fun. Or the summer night in 1971 when Dad surprised me and my big brother Ed with a once in a lifetime trip to Schaefer Stadium, to watch the very first Boston Patriots game ever played in Foxboro. I will never forget that magical evening. It was beyond fun! Listening to games on the radio as I take a road trip. Turning to the newspaper sports section to check the scores. Jumping up off the couch and high fiving my Godson when there's a "SCORE!" and then watching as he learns how fun it is to be a fan. Funny. The difference between "fan" and "fun" is just one letter. Not a very far distance to cover. "Deflategate"? Not interested. I’m done with that. I'll let other fans, other pundits, other folks worry about that stuff. I'm just in it for the fun. 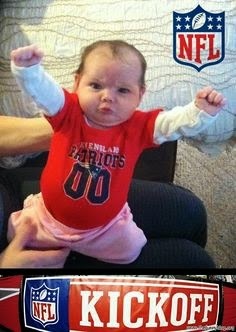 GO PATS! The Free Speech Right to Offend Others: Is This Right Always Right? Just because as a journalist and a citizen, I have the right to offend, should I offend? I’ve been wrestling with this question since the murder of twelve cartoonists and journalists at the offices of the French satirical magazine Charlie Hebdo, by radical Islamist terrorists two weeks ago. The gunmen carried out the attack in retaliation for insulting cartoons of the Prophet Mohammed. To be clear: I completely reject as evil the notion that anyone is justified in killing another human being for expressing an idea, whether “offensive” or not. 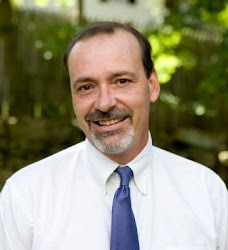 Yet as a newspaper columnist who has written a weekly opinion piece for almost twenty years, I’m ever aware of the power of the pen; that when I express an idea in a newspaper or a blog, in public, it always has the potential to cause harm. To hurt another person. To malign an idea. To tear down an individual. To spread a lie or rumor. To mock a belief which another holds as sacred. To rhetorically “Yell ‘FIRE!’ in a crowded theater” just to see what kind of response is evoked. With free speech comes great responsibility. Many weeks I’ve thrown out the first draft of a column because in reviewing it, I see it does not add to the common good or constructive discussion about an idea. Or I reread my first pass at an opinion and recognize it’s more about my selfish need to be angry, or self-righteous, or even insulting. So I always edit. I self-censor. I delete. Then I write again, and hope that what I opine is thoughtful and then I send my words out into the public marketplace of ideas. I hope that what I write, in a very small way, makes the world better. Moves the debate forward. Brings a cause to light. Changes someone’s mind. Inspires discussion and action. Educates and enlightens. Some weeks I succeed. Others I fail. But I’d like to like to think I try my best to use my words to build up and not just tear down. This is why I love free speech. It gets us talking, wondering, and debating. It challenges us to be in peaceful dialogue with other people, especially those with whom we disagree. It reminds us that the best society is one in which a free press empowers a free people to think. Free speech gives an outlet for human expression. It allows humanity to use the language of ideas and not violence, to build the world. So yes in free speech, I also have the right to offend a person, a faith, a politician, a sacred cow, a race, a class of people, anything, any one. But: should I then do so? I’ve seen the Charlie Hebdo cartoons which have stirred up so much controversy. As a person of faith, I can report these images equally mock Jews, Christians and Muslims. The cartoons take sacred symbols and icons—like the cross, Jesus, a Star of David, the Prophet Mohammed, God—and depict them in intentionally shocking ways, at least to my sensibilities. They are not high art, not elegant or nuanced in their use of satire. They are kind of like Mad Magazine gone radical: sophomoric, crude, visual sledge hammers swung down hard to make a point. I’ll not be subscribing anytime soon. Give me The Onion instead, the closest comparable satirical magazine in our country. Back to France. One week after the killings, Charlie Hebdo published a new edition and there, right on the cover, was another cartoon of the Prophet Mohammed. The magazine was a huge, immediate hit, selling out across that country. The French stood in line in the pre-dawn light for hours, all in hopes of securing a copy. The publishers, who normally sell 60,000 copies per issue, are now running seven million copies for worldwide distribution, a record for France. And free speech advocates cheer every where. And some people of faith are insulted, and hurt, and angry, again, every where. And our world does not feel more peaceful or more hopeful or more understanding or more enlightened, after all which has happened. Yes. I will still defend to the death the right of free people to offend others in word and in speech. We can all be offensive. But…must we? Will we? After the Paris Attacks: Will We Choose a God of Hate or a God of Love? If we choose God, when we choose God, which God will it be? A God of love? A God of hate? That is the question which has haunted me since the terror attacks in France last week, which left seventeen innocent people dead, a city traumatized, a nation terrorized, and a world once again reminded of the terrible price paid when religion goes evil. When religion inspires violence. When religion gets so twisted and warped, that “religious” people hate, murder, and even dare to proclaim that they do so in “the name of God”. It’s tempting to imagine that this is a modern problem, one born in the ashes of 9/11, when religious fundamentalism moved a group of extremists to attack thousands of innocents. But the question of what kind of God humans worship, know and proclaim is as old as faith itself. Life itself. From the moment tens of thousands of years ago when our ancient ancestors stared up into a night sky at the stars and imagined, hoped, that a power greater than themselves was somehow behind all of existence, religion has been used for good and evil in the world. Religion has inspired humankind’s greatest acts of kindness, mercy and compassion and humanity’s absolute worst acts of depravity and hatred too. As a person of faith and a clergyman, one who has staked his whole life in the service of religion and all the good it can and does do, it is heart breaking for me to name this truth. The reality that religious faith can evoke the noblest of human behavior and the most heinous as well. I’m embarrassed, ashamed and angry that any of my fellow faith adherents—Muslims, Jews, Christians, whomever—would use the cloak of faith in God to justify hatred and bloodshed. Would have the arrogance to cry out “God is great!” while shooting a police officer, killing a cartoonist, gunning down a shopper in a neighborhood deli, all of which happened in Paris. Some hope is emerging from these events. 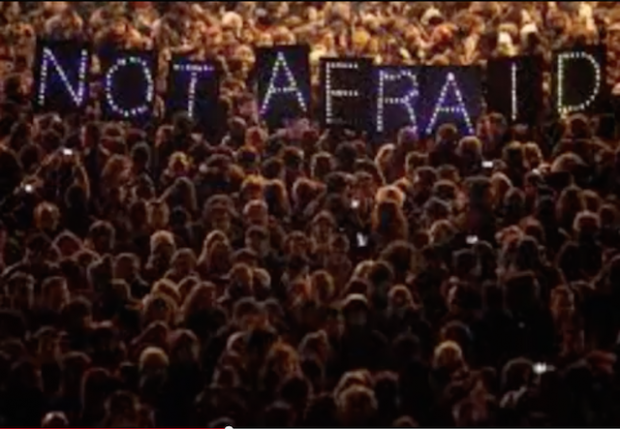 More than 1.5 million French rallied in Paris to proclaim “WE ARE NOT AFRAID!” in the largest such demonstration in that nation since 1944. They were joined by many political leaders, including the Prime Minister of Israel and the President of the Palestinian Authority, representing two peoples locked in a titanic struggle often fueled by religious intolerance. There’s the story of the Muslim deli employee, Lassana Bathily, who led his customers to safety, as the terrorists took hostages. On social media and in the press, moderate Muslims are speaking out and up and against the terrorists and their supporters, and they are doing so more forcefully and publicly than perhaps ever before. This is where the real reformation and transformation of all religion has to start, has to continue. From the believers themselves. From the ones within a given religious faith who refuse to allow their particular faith in God to be hijacked by fellow adherents, those who through fundamentalism, extremism, fear and even bloodshed, pretend to love and honor “their” God. The brave, the religious dissenters: they and they alone, must finally have the courage and the tenacity to take back their religions. And not just in Islam, but in any religion which uses the power of faith in God for naked human power, and all to oppress, to hate, to hurt, to control, to dismiss. Until this happens, I’m sad to say that I think nothing will change. God wants things to change, of this I am absolutely convinced. Yet finally it is God’s followers who must choose just what kind of God they believe in. The world is a very religious place: 84 percent of its population claims a place in a specific religious tradition. We do not need more religion. We need better religion, belief systems and practices which make our fragile and beautiful big blue marble, our God created home, a better place. A safer place. A more loving place. A tolerant place. A hopeful place where all—people all faiths, people of no faith—can live together in peace. It’s that simple. It’s that difficult. A God of love. A God of hate. For the religious, this is the choice. It was 631 days ago this week. Boston Marathon Monday. Patriots Day. April 15, 2013. Seems like a lifetime has passed since then. Seems like yesterday too. It was a bright and clear and sunny early spring Monday in Massachusetts, crisp air, sharp blue skies, the kind of day we love in these parts, when life seems to bloom again after a long and hard winter. It was our day here in the Bay State, in the leafy suburbs of eastern Massachusetts, on the raucous crowd lined streets of Boston. It was an awful day, the worst day ever for so many. At 2:49 pm the first of two bombs exploded near the marathon finish line. More than 260 people were injured. Seventeen people lost limbs. Three died and a fourth victim was gunned down days later. Then a region wide manhunt and a “stay in place” order for thousands of us, a shoot out on a side street in Watertown, one bomber suspect killed, another captured. It was a miraculous day of amazing heroism, courage and selflessness, the best of Boston, Boston strong. Police rushing towards the explosions to save, to comfort, to rescue. Civilians caring for the wounded. Leaders rallying a populace. And then after, a compassionate and generous outpouring of prayers and support and money, hundreds of millions of dollars for those who suffered and still suffer. One year, eight months and 22 days later. Monday, January 5th, 2015. The trial of Dzhokhar Tsarnaev starts here in Boston, just a few miles from the scene of his “alleged” crimes. Journalism rules require I refer to Tsarnaev as a “suspect” but I’m sure he is guilty of his crimes, acts of terror so cruel, hateful, and sociopathic. I believe he deserves to take full responsibility for what he and his brother did, in their warped and twisted ideology of religion and anger. Justice demands that he answer for his actions. But not with his life. Not this day. Not any day. That’s what’s really being decided at the trial: if Tsarnaev is convicted, will the United States federal government put him to death and take away his life. Even though Massachusetts has not had a death penalty since 1982, has not put anyone to death since 1947, Tsarnaev is being tried in federal court, and prosecutors have indicated they will seek capital punishment. There are many legitimate reasons to for death. The level of mass destruction and carnage the bombings wrought. The ongoing suffering of folks who lost a loved one or lost a limb, had their lives changed forever in an instant. Deterrence for those who might imagine carrying out a similar act. Equality of punishment: take a life you give up your right to live. There are also many legitimate reasons to argue that he should instead be locked up for life, no hope of parole, imprisoned until the day he leaves this earth. The fact that the Bay State has no death penalty. That a post bombing poll indicates a clear majority of Bostonians (57 percent) favor a life sentence for Tsarnaev, with 33 percent supporting his execution. In interviews with the bombing victims and families of the deceased, their opinions are mixed, no clear consensus. 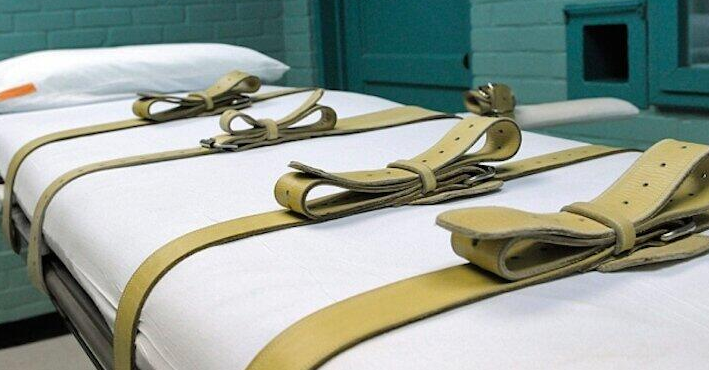 Worldwide and nationwide the use of the death penalty by governments is in a steep decline. I get these arguments too. Yet finally I oppose Tsarnaev’s execution, for by putting him to death, we as a society respond to violence with more violence. We allow the desire for revenge to rule our hearts and souls. We imagine his death as one ultimate act of closure but the truth is that none will ever be found. And most sad, by calling for his execution, we as a people will not add one iota of love, or mercy, or compassion or peace to this fragile world that we call home. The God I love compels me to oppose the death penalty in any and all circumstances, because if we are to rid this world of fear, anger and bloodshed, it has to start with us. Who we are as human beings, one to another. How we live with and treat those among us, even the ones like Tsarnaev. An eye for an eye? It does finally make the whole world blind. It was an April day long ago. Now we come to these profound days, to make the choice as a community between life or death, peace or violence. I pray that we’ll choose life. I pray that we’ll choose peace.